Matthews Studio Equipment presents a new, versatile solution to duplicating studio lighting effects on location. 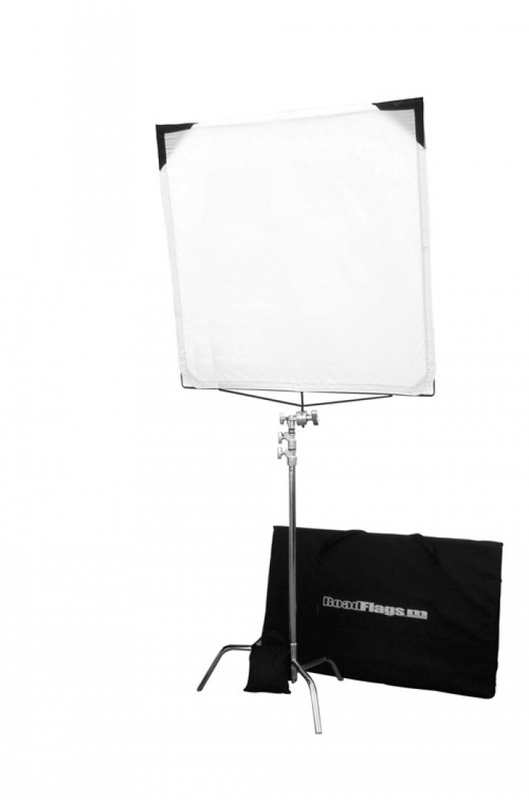 Designed for today's highly mobile, location shooter, ROADFLAGS offers a larger 4' x 4' (122cm x 122cm) surface lighting modification in a convenient, easy-to-use portable kit. The "slip-on" fabrics allow for fast setup and packaging while offering larger fabric sizes to create a multitude of lighting effects. ROADFLAGS pack into a lightweight, self-contained easy-to-handle 28" x 50" (71cm x 127cm) case. 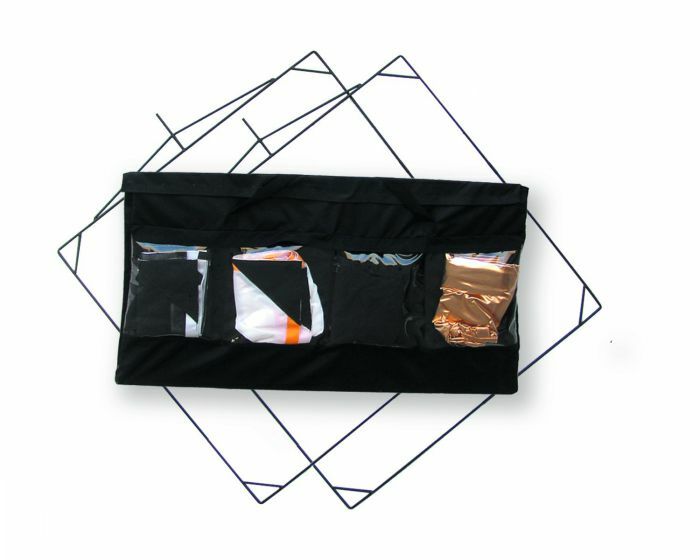 ROADFLAGS kit will easily pack into any automobile or location vehicle. In addition to the list of fabrics included in a ROADFLAGS kit, these SLIP-ON light modification fabrics are available for RoadFlags and as instant recovers for standard 48"x48" frames. Now there is no need to return the frames to the factory for recovering.